How many times have you found yourself settled into a comfortable position for the night just to realize you have to get up and remove your makeup? That was me more often than I can count. 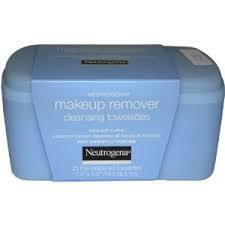 Neutrogena makeup remover cleansing towelettes For those occasions are the best thing to have on your nightstand. The towelettes are alcohol-free, allergy tested and removes all traces of makeup, dirt and oil, even waterproof mascara. 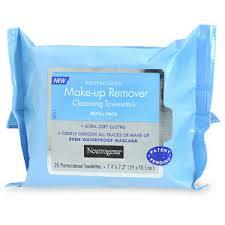 Price Range $6.49 for 21 towelettes Available at Neutrogena.com, Target, Ulta, Walgreens, CVS, and Jewel-Osco. The 25 count tub at $6.99 is great for travel. This is a dual phase formula that can remove even waterproof makeup. It is oil-free and when rinsed with water leaves no greasy residue. It’s ophthalmologist tested, safe for sensitive eyes, and contact lenses wearers. Price Range: 3.8 ounce $5.99 and 5.5 ounce $7.49 Available at: Neutrogena.com, Ulta, Target, Walgreens, CVS, and Jewel-Osco.